Editor's Note: This post was originally published on January 17, 2018. Housecall continues to share this piece due to ongoing requests and reader interest. A strong housing market isn't necessarily all good news for sellers. As evidenced by Remodeling magazine's newly-released Cost vs. Value Report for 2018, average return on investment (ROI) for home improvement projects dipped across the board, with "upscale" projects taking the biggest hit. The report, which measures the average cost of 21 popular remodeling projects and their average resale value one year later, found that garage door replacement has the highest ROI at 98.3 percent (up from 85 percent year-over-year). Backyard patio jobs garner the lowest ROI, at 47.6 percent (down from 54.9 percent year-over-year). The reason for the sweeping decrease in ROI isn't immediately obvious, but Remodeling magazine's editor-in-chief (and manager of the report) Craig Webb notes that it's likely related to the strength of the housing market currently. "It's not clear if...nationwide affordability concerns are leading (real estate) pros to question the value of renovations that would make a house even more expensive at resale," says Webb. However, a silver lining from the report relates to when the data was compiled. Remodeling magazine put all the cost information together before the country was struck with several natural disasters, including massive forest fires and several hurricanes. Since then, building supplies and the price of skilled labor has increased, but that's expected to change over the course of 2018. As a result, expect to see the ROI of most of these projects level out by the end of the year. Despite these events, some longtime trends continued through the new year. Remodeling is still far more cost-effective than replacement, but, according to real estate pros, replacing is still the way to go. 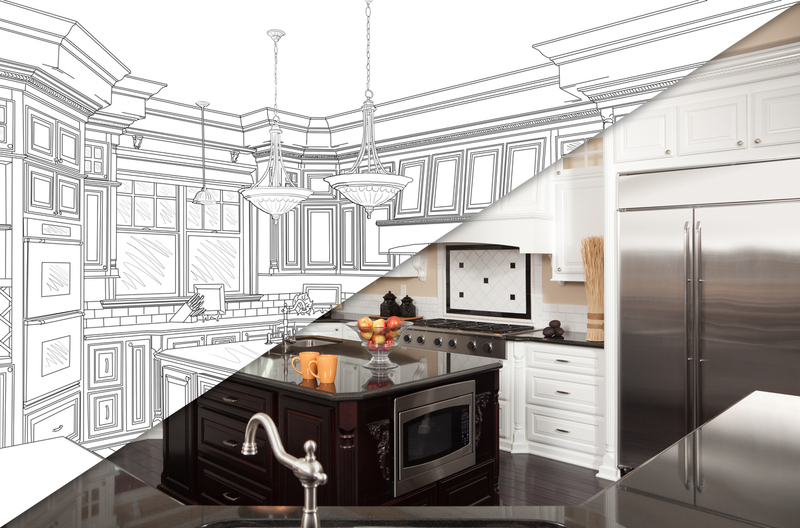 This year, there's a 20-point difference in ROI: 76.1 percent for replacement jobs, versus 56 percent for remodeling. The 2018 Cost vs. Value Report compares, across 149 markets, the average cost of 21 popular remodeling projects with their average value at resale one year later. Average resale value is calculated based on estimates provided by real estate professionals. View the full report, including project descriptions and city-level data, here. 11 Comments so far. Feel free to join this conversation. Richard’s comment is the best – it’s not so much about how much the return is, as that it’ss often difficult if not impossible to measure. It’s about getting the home sold. What’s the value of sold vs not sold? Or sold in a week vs sold after months on the market? That’s the way to approach remodeling and projects, especially before putting the home on the market. Usually if the remodel is needed for the home to compete with other homes in the price range or neighborhood – it pays to do it, unless we’re talking about a home that hasn’t been updated in so long, it needs everything. That would be a home for a professional remodeler to purchase and falls into a different category. The others, if the remodel or updating is needed, it would deter many buyers. Most people don’t have the time or extra money for it, and they will often overestimate the cost to have it done after closing, so they move on. On the bottom end of your scale, (those with lowest ROI,) I can sell you homes in my area for less than the cost of those projects! The estimates are outrageous! I’ve had flippers buy homes needing updating for less than $50,000, do a complete remodel – kitchen, bathroom, new flooring, even new appliances, and be able to make a profit selling in the $100,000 range, after expenses including realtor fees on both the purchase and sale end.. If people in less than highest upscale homes are paying that much (and I’m referring to the first list,with lowest ROI, not the upscale remodel list) it’s no wonder ROI is so low. People need to pay attention to market values in their areas before over-improving their homes. Or find less expensive contractors! Leaving comment ONLY so that I might see other comments. I shared this article on NextDoor; someone is claiming that other Realtors have left comments. Not seeing them – so here we go. Maybe I will now – it’s a free ride after all. The takeaway from this article is the same as every other subject in real estate. There are no absolutes that are true in every State, every neighborhood or with every home. Each sale is unique and reflects the moment in time in which it is occurring, the neighborhood, the overall economy and, specifically, the local economy. Others have commented that these numbers are high; they are in many parts of the country but they may not be in areas where the overall cost of real estate is very high and the discretionary income and remodeling goals of remodelers is also high. What’s most important is that it is rare to get every dollar of any remodel or improvement back but, because of local market conditions, sometimes even the smallest improvement can have a positive effect on the sale by making the home more attractive to a larger number of potential buyers. Nothing about real estate is cookie cutter or universally true except that honesty is the best policy, pricing right is essential and good presentation leads to a faster and higher priced sale! Great article it helps you to know more about the new functions and also to upgrade your PC,just install it and get all the recently features of window 10. I found this article very helpful! It’s the percentages that matter. Actual cost are different all over the country. Even in the same area there will be a huge difference in renovation cost between a modest home and an upscale home. Take it from this old renovation contractor that the difference between using a design company with custom/imported everything is significantly more expensive than picking out stock items at Home Depot and have the local contractor do the installation. That’s elementary my friends. The problem with the numbers is the underlying condition of the home pre-upgrade. If it’s a total dump, the reno is worth more than if it was livable/moderately dated pre-reno. It’s a sliding scale. Great article and lot of information on your post. I use the Cost vs Value Report all the time with sellers and buyers to share how they can enhance their home sale whether today or for buyers when they sell down the road. I agree with Monika, as to how to utilize this tool. We don’t focus on the prices, but the percentages which give an idea of what makes sense to the project when making the improving and to the price you pay vs value received. The basics seem to bring consistent value and for most, they enjoy them while they live there as well. In our area, where often both parties work full time, their time is limited and they will pay to have things done by others, but there are do it yourself types as well. This article is most helpful for me. Thanks for sharing.